DOOMED PRESIDENT GERALD FORD’S FRATERNITY BUILDING DISCOVERS REDEEMER. DKE ‘SHANT’ BUILDING AT 611 1/2 EAST. WILLIAM STREET, ANN ARBOR OBTAINED NEW LEASE ON LIFE. I speak of Doomed Presidency of Nixon-Kissinger and Gerald R. Ford in the context of Doomed US Policy they initiated and followed. US Policy doomed for it fundamentally violates values cherished by Founding Members who enshrined those Principles in ‘Declaration of Independence’ to establish USA as Free Nation. The historical legacy of Doomed Nixon-Kissinger and Ford Presidency trapped my life and military career since 1971. I left India in 1984 in search of ‘REDEEMER’ or ‘DISCOVERER’ to find the true purpose in my life. DOOMED PRESIDENT GERALD FORD’S FRATERNITY HOUSE BUILDING DISCOVERS REDEEMER TO GET NEW LEASE ON LIFE. My readers may not be surprised to note my interest in a story published by MLive.com giving account of historic DKE Shant Building at 611 ½ East William Street, Ann Arbor. Delta Kappa Epsilon Fraternity is not able to use this Building for their activities and listed it for lease. To my utter surprise, this Doomed Building used by Gerald R. Ford is discovered by ‘REDEEMER ANN ARBOR’ Church for their Worship Service. This historic Building got a new tenant to keep its life. The Story gives me Hope of reaching my true destination in life with guidance from my personal REDEEMER. Doomed President Gerald Ford’s Fraternity House Building Discovers Redeemer to get New Lease on Life. 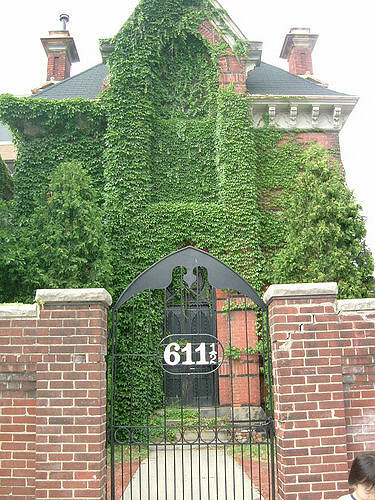 Delta Kappa Epsilon Fraternity House, Shant at 611 1/2 East William Street, Ann Arbor. Doomed President Ford’s Fraternity House Building in Ann Arbor. Doomed President Ford’s Fraternity House Building in Ann Arbor Discovers Redeemer. Doomed President Gerald Ford’s Fraternity House Building in Ann Arbor Discovers Redeemer. Doomed President Ford’s Fraternity House Building Discovers Redeemer. 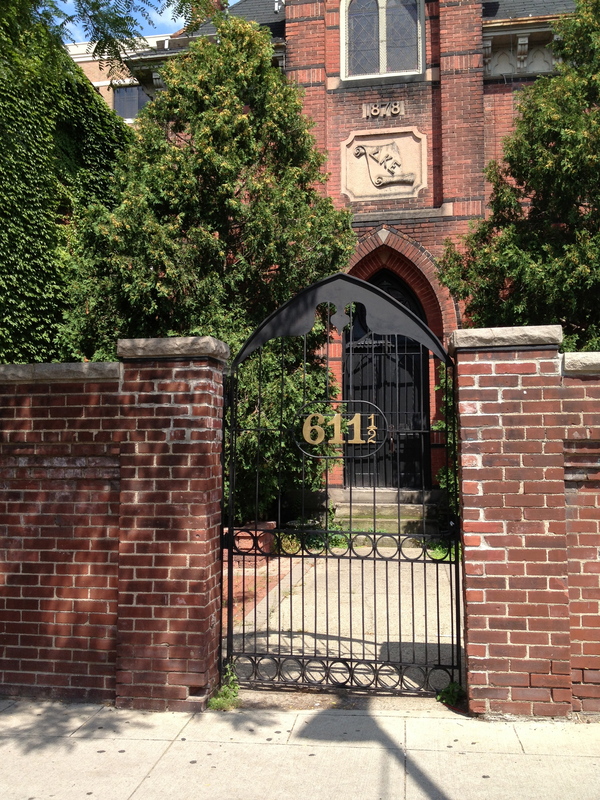 Set behind a seven-foot brick wall and a padlocked cast-iron gate in downtown Ann Arbor is an unusual historic building in transition. 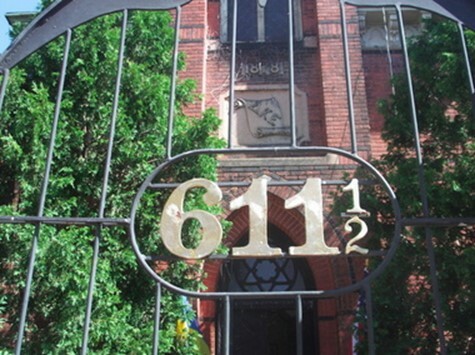 After serving as a space for weekly Delta Kappa Epsilon fraternity rituals and later, as the international headquarters for the fraternity, the 135-year-old building at 611 1/2 E. William St. is listed for lease for a retail user. The building is located between Hunter House Hamburgers and Tianchu Restaurant. An online real estate listing markets the building, known as the Shant, as the “most unique building on the University of Michigan campus,” noting it’s “the first time the property has been offered to the public.” The 2,000-square-foot space is listed for lease with Colliers International Ann Arbor for an annual $35 per square foot. “Very rare opportunity for retail coffee shop or similar uses for very unique original space on campus,” the listing says. The Shant sticks out in its surroundings – an evolving near-campus retail area – although it’s set back from the sidewalk and behind a tall brick wall. The building has retained its historic character as the area around it continues to develop. Doomed President Ford’s Fraternity House Building in Ann Arbor Discovers Redeemer to get New Lease on Life. 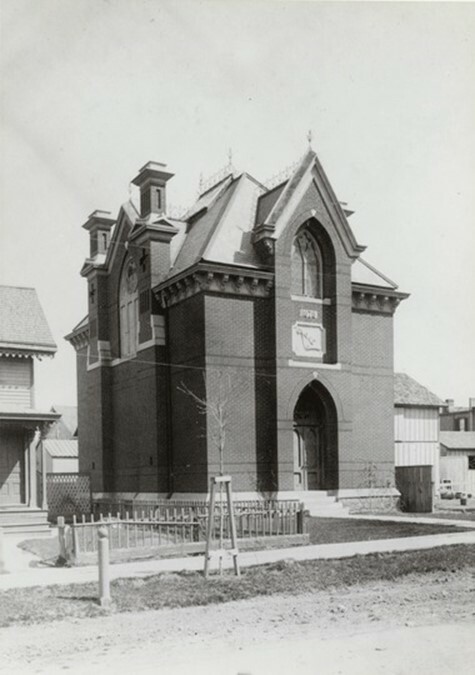 The Shant has a rich history in Ann Arbor; architect William Le Baron Jenney, later known as the “father of the American skyscraper,” designed the building for the Omicron Chapter of DKE at U-M. Jenney taught the university’s first courses in architecture. 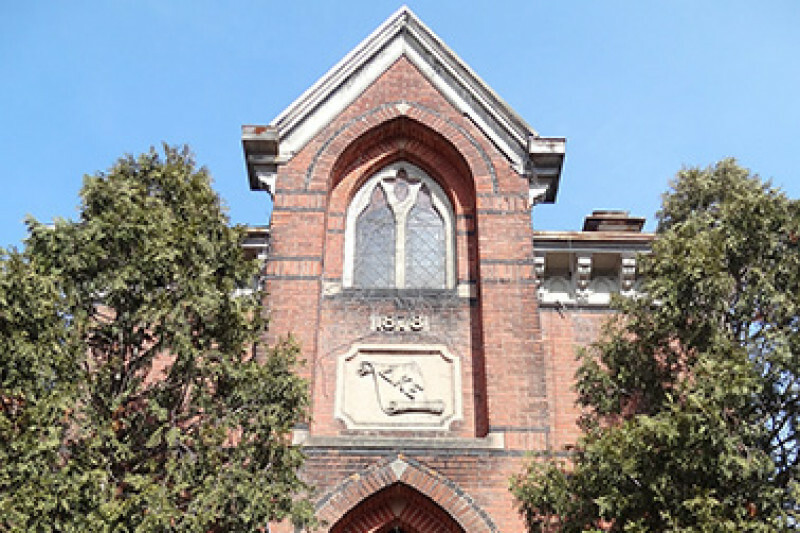 The cornerstone for the chapter hall on East William Street was laid in 1878 and construction finished the following year. As for the building’s name, people aren’t quite certain where it comes from. “Nobody really knows,” said Sarah Christensen, DKE’s administrative director. Designed in thirteenth century French style, the two-story building features a stone foundation, intricate wood arches, a vaulted ceiling and stained glass windows with the DKE symbol. When the building was completed, it was used for weekly chapter meetings and other rituals that remain a mystery to those outside the DKE fraternity. The building was never used to house fraternity members, who stayed at a house at 609 S. State, then a house at 1912 Geddes before DKE secured its current home at 1004 Olivia Ave.
Over time, DKE has lifted the veil of secrecy surrounding the Shant building. 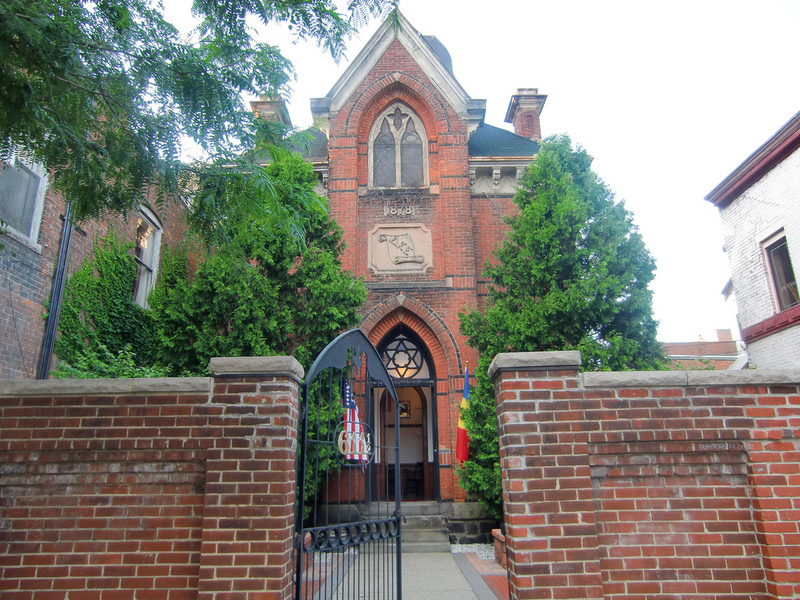 Years ago, only fraternity members were allowed to step foot inside the house and the brick wall outside was constructed in 1901 to keep people off the property. Christensen said in the 1970s and 1980s, DKE members and alumni would often use the Shant building as a gathering place on football Saturdays. People would sometimes watch the games on a television on the building’s second floor. DKE almost sold the Shant in 1980 as the fraternity faced financial troubles. A fundraising effort led by DKE alumni David K. Easlick saved the building and ownership was transferred to the newly formed Rampant Lion Foundation, which supports DKE’s educational activities. Today, the Omicron Chapter of DKE only meets inside the Shant about twice a year. “It might be an alumni event, it could be a physical pinning of the pledges,” Christensen said. The fraternity’s international headquarters rents the building’s first floor from the Rampant Lion Foundation. The DKE fraternity is proud of its history. The walls inside the Shant are lined with photographs of DKE alumni, including five U.S. presidents: Rutherford B. Hayes, Theodore Roosevelt, U-M grad Gerald Ford, George H.W. Bush and George W. Bush. Doomed President Ford’s Fraternity House Building in Ann Arbor Discovers Redeemer to get New Lease on Life. Delta Kappa Epsilon Fraternity Flag. The Gerald Ford library is on the building’s second floor, featuring works by and about DKE members. Old DKE artifacts, including a paddle from Yale’s DKE chapter, are on display on the second floor. 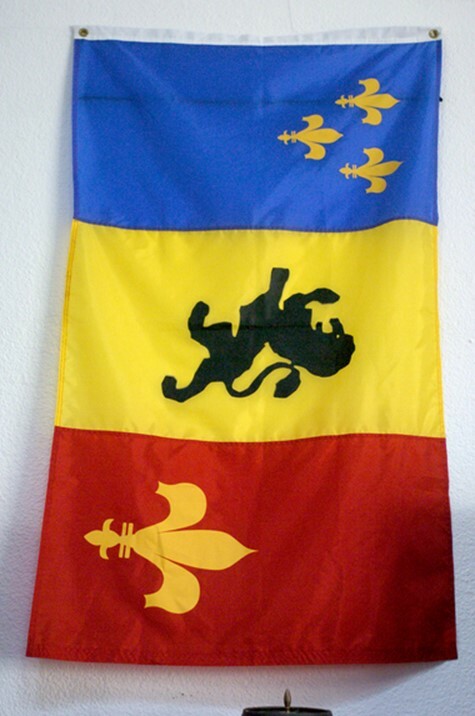 One photograph shows the DKE flag when it was carried to the North Pole by its discoverer. 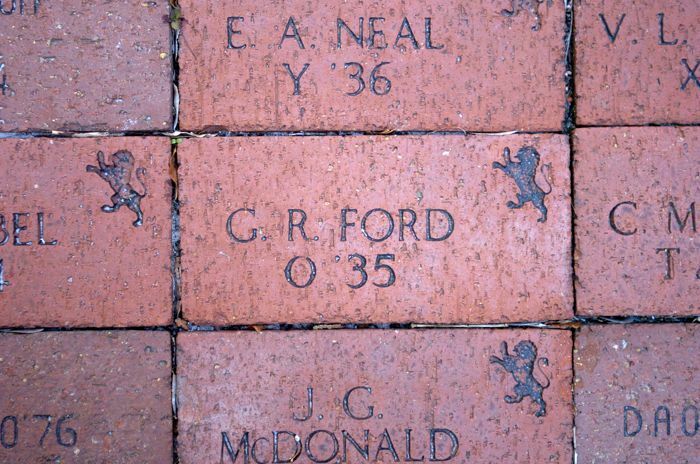 Bricks on the Shant’s outdoor patio feature names of DKE alumni, including Gerald Ford, who have donated to the Rampant Lion Foundation. The Shant building is listed for lease as the building is in need of repairs to its four architectural chimney features. Christensen said the fraternity organization does not have the cash flow to make the necessary repairs, and selling the building would be a last resort. The building has a 2014 assessed value of $209,300. 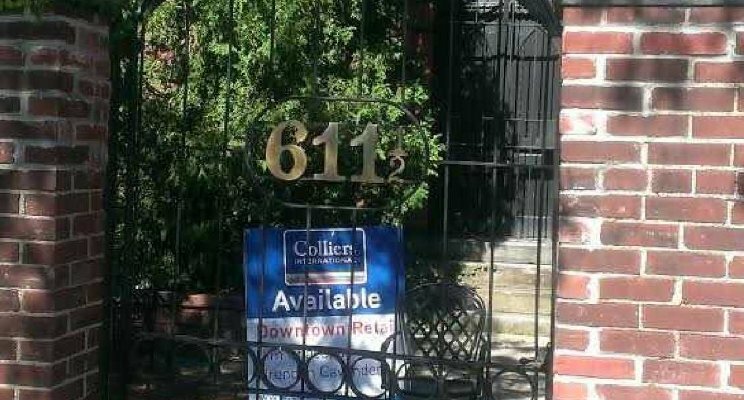 The property’s 2013 taxes were about $4,070. A lease agreement with a future tenant would offer discounted rent while repairs are made to the building. Chaconas, of Colliers, said to restore the chimneys with the original materials would cost upward of $60,000. To rebuild them with different materials but a similar appearance would cost about $12,000. Chaconas said a new tenant would not alter the character of the building. 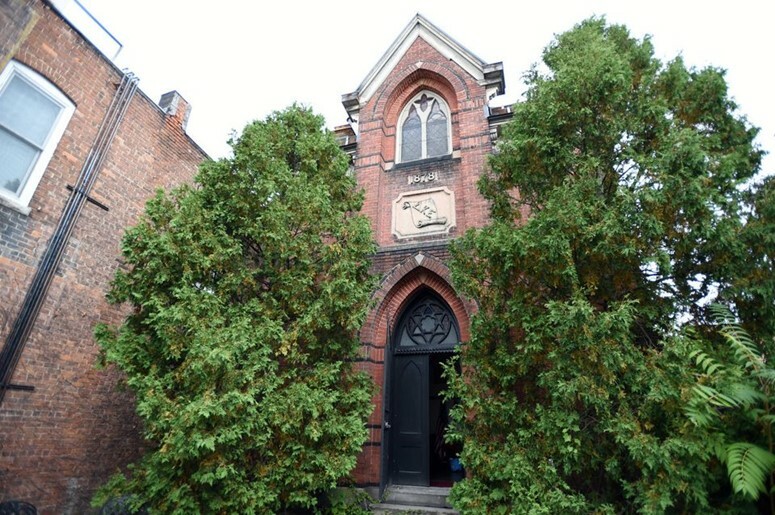 “I’ve gone to the Historical Society and City of Ann Arbor and they are going to work with us so we don’t have to disturb the structure of the Shant,” he said. Chaconas said he’s received preliminary interest in the building and had some showings. Examples of retail tenants he cited include a coffee shop, a wine bar or a small restaurant. Christensen mentioned a yoga studio as another example. © 2017 MLive Media Group. All rights reserved (About Us). DOOMED PRESIDENT GERALD FORD’S FRATERNITY HOUSE BUILDING IN ANN ARBOR DISCOVERS REDEEMER TO GET NEW LEASE ON LIFE.